The Acer C7 is altogether a more powerful and capable machine than its Samsung rival, but the downside is that battery life isn’t stellar. We can’t run our standard laptop-based tests on Chromebooks, but, even with the screen dimmed a little, we were able to extract only four to five hours’ work time from the C7. You can expect an hour or so more in offline mode. If you’re particularly precious about the number of keys you have under your fingertips, the size of your hard drive or the brightness of your screen - but aren’t concerned with what your laptop looks like - then by all means, check out Acer’s take on the Chromebook. Otherwise, you’d be better off stumping up the additional £30 for the Samsung Series 3. Well, you might just prefer having a familiar laptop experience, complete with keyboard and trackpad, and if you're already living the Google life with Docs, Calendar, Gmail, Hangouts, Google+ and more, you'll immediately feel at home as soon as you sign into a Chromebook. And that's fine. If that's you, we think you should consider one. Basically, then, we like the idea of a Chromebook; we just don't particularly like this Chromebook. At least, we don't particularly like the Acer C7 Chromebook as a Chromebook. Versatile, rugged and surprisingly stylish, the Acer C7 Chromebook is an amazing achievement for £199, especially as 100GB of cloud storage costs half the price of this Chromebook via rivals. It gets the basics right - decent screen, usable keyboard and has all the inputs and outputs you need when on the go. The Chromebook OS is still struggling for apps and, really, that's the only downside to an otherwise polished performer that shows little signs of compromise for the budget price tag. I wanted to really dislike this experience, and in many ways it was compromised. But much of that is just a matter of having to live in the browser. Right now, on my MBP I have three browser windows with around two dozen tabs open. I have VLC open for playing some videos while I work, OpenOffice for reading documents that don't get along with Google Docs or TextEdit, Lightroom, Twitter, Scrivener about a dozen TextEdit windows, and Spotify. 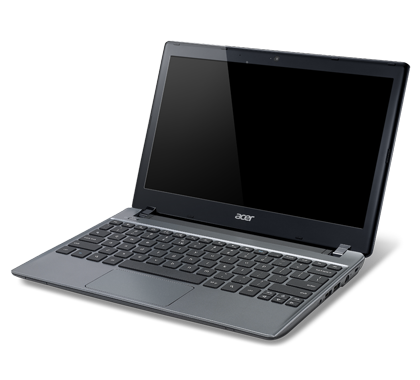 Still, we can see people taking the plunge and buying the Acer C7 simply because it packs so much in for so little. It costs £194 - £30 less than the Samsung - and thanks to its sizeable hard disk and Chrome OS’s offline capabilities, it could be all the laptop many people need. For anyone requiring a machine for basic computing and browsing the web, it’s a bargain. Although the Chromebook concept is a partial success, there are too many fundamental errors with Acer's C7 laptop for it to score well. It might well be a budget purchase, but the screen has a poor viewing angle, battery life isn't great and the keyboard is hit and miss for typing - all of key importance to a device such as this, and all short of the acceptable threshold in each case. There's also no 3G option for on-the-go connectivity. To be fair, the C7 has advantages as well. The Samsung is equipped with only 16GB flash storage to the C7’s 320GB HDD. Both come with the aforementioned 100GB of Google Drive space. The C7 also holds a one-port USB advantage over the Samsung, but it’s worth mentioning that one of the two USB ports on the Samsung is a 3.0. Rounding things out, the Samsung has Bluetooth and the Acer does not. The Samsung is simply a better computer and it’s worth the $50 price premium. 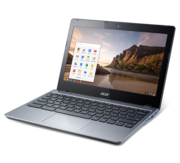 The Acer C7 Chromebook (C710-2847) is the most affordable of the three Chromebooks currently on the market, and the first to hit the $200 price point that Google has been aiming for since the concept was announced in 2011. 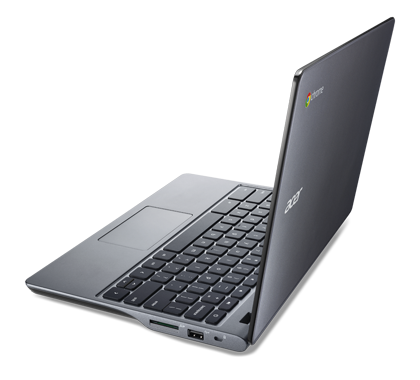 In terms of cheap, reliable, and functional Internet access, the Acer C7 Chromebook is serviceable, with the largest hard drive of the bunch. Whether or not it has a better feature set than the Samsung Series 3 Chromebook depends upon what features you want, picking up VGA and Ethernet connectivity, but dropping the USB 3.0, Bluetooth, and optional 3G offered by the Samsung Series 3. With a thick and heavy design and short battery life, the Acer C7 Chromebook isn't quite as slick as the Samsung Series 3, but the larger drive and cheaper price will grab plenty of attention, and entice a lot of people to buy. The netbook isn’t dead, it just got Chrome’d. 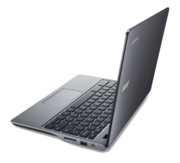 With the Acer C7 Chromebook (C710-2847) , Google has finally cut down the price of the Chromebook to an undeniably affordable $200, using a netbook-esque design, but infusing it with the web-centric Chrome operating system.The Acer C7 Chromebook (C710-2847) isn't the slickest laptop out there, but it runs Chrome OS, has a roomy hard drive and a full selection of ports, and sells for a song. Acer’s C7 Chromebook is a stunning value. The only major sacrifice a buyer has to make is accepting the Chrome OS, which is becoming easier over time. Chrome OS is now capable of performing all the basic tasks the average user requires and many apps can be used offline. It’s a shame, then, that portability is exactly where the C7 falls short. The Acer C7 Chromebook has an extremely tempting price, but it's not the best Google-powered laptop out there. This machine does have some advantages over the latest Samsung Chromebook, including a roomier hard drive (320GB versus just 16GB), more and easier-to-access ports, and a slightly faster CPU. However, we would much rather own the Samsung Series 3 Chromebook. A year ago it was tough to recommend buying a Chromebook. With prices starting at $450, it was hard to explain why you’d buy a laptop that only runs a web browser when you could spend the same amount or less on a notebook with a more versatile operating system... and which could also run Chrome as an app. Basically, then, we like the idea of a Chromebook; we just don't particularly like this Chromebook. At least, we don't particularly like the Acer C7 Chromebook as a Chromebook. As a cheap, capable little Ubuntu machine, on the other hand, it has some appeal. Whether you're interested in cloud-based computing on a budget or you're just curious about Chrome OS, there's never been a more affordable selection of Chromebooks. 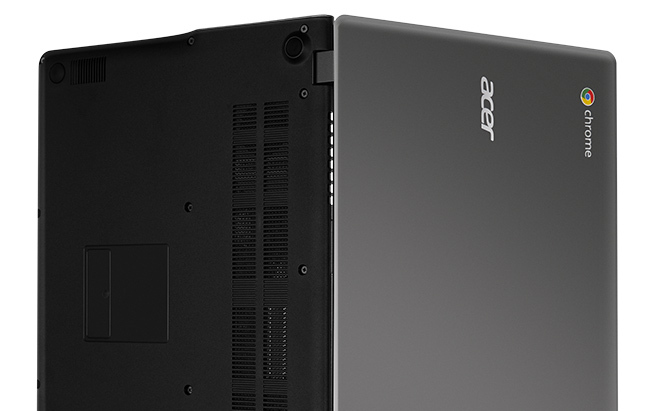 Acer's $199 system certainly wins on price, but it looks and feels extremely cheap. It offers a fast processor along with Ethernet and VGA connectivity, but at the expense of a glossy screen, poor keyboard layout and lackluster battery life. Acer has succeeded in boiling out all the high-end features that make a notebook cost more than $400 and took Google’s Chrome OS to just about as standard and basically acceptable place as they possibly could, tagging it with a very suitable $199 pricetag. If you only want to browse the web with your notebook, and that’s it, this machine will serve you well. 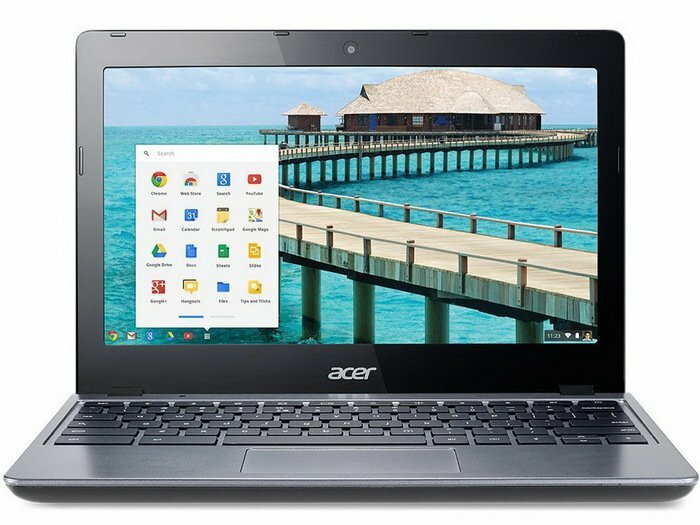 This is getting awfully tempting.While netbooks are history and tablets are triumphant, Chromebooks—those low-cost laptops built solely for online access and Web applications—are clawing back from a lackluster start last year.At $199, Acer and Google's newest Chromebook is practically an impulse buy—if not a must-buy—for anyone considering a 7-inch tablet but hoping to do productivity work instead of mere content consumption on the Web. Chromebooks are an oddity of the modern computing world: neither tablet nor laptop, and eschewing the concept of apps in the way an iOS or Android user might know them.At $199, the Acer C7 is an attractive proposition for anyone looking for a supercheap portable laptop, but the Chrome OS and short battery life mean you'll have to accept a lot of compromises. Positive: Compact size; boot very quickly; the price; 100 GB free storage on the network for 2 years. Though it doesn't have the same claim on affordability that the previous $200 C7 Chromebook had, the Acer C7 Chromebook (C710-2055) is still less expensive than almost any Windows laptop, and now offers better performance and battery life. With twice the RAM and a larger battery, the Chromebook (C710-2055) offers improvements in both overall performance and battery life, making it an all-around better option than the previous C7 Chromebook. Among the inexpensive Chromebooks we've reviewed, it's the one to beat, offering better performance, a solid feature set, and a healthy mix of local and cloud storage, and is our Editors' Choice for Chromebooks. 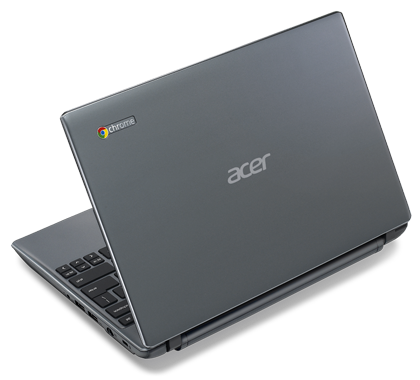 The Acer C7 Chromebook (C710-2055) is the best inexpensive Chromebook currently on the market. Though it still has a couple of faults, the new version of the Acer C7 Chromebook is faster, longer lasting, and better all around. All this and its very low price tag makes it the best inexpensive Chromebook on the market. 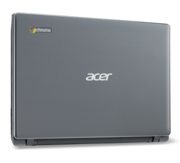 For shoppers looking to get online for a reasonable price, the $279 Acer C710 Chromebook is a solid choice. You get much longer battery life than the previous C7 along with a faster processor and more onboard storage than the $249 Samsung Chromebook Series 3 (320GB vs. 16GB). We also like the Acer's brighter display, even though it's glossy. There’s nothing wrong with the Acer C710-2457 Chromebook, other than its being as unremarkable as nearly every other Chromebook now available. Low prices don’t seem to be the answer, given that HP’s Pavilion Chromebook, which sports a 14-inch display, is a strong seller even though it costs about $100 more. Maybe if a few more vendors stuck their necks out to improve the user experience, they’d find more willing buyers. 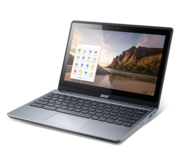 While the new Acer C7 Chromebook (C710-2457) gets dinged for the loss of the larger hard drive and the shorter life of the smaller battery, it does have one of the lowest prices of any of the available Chromebooks. For a product that's all about affordability and making the Internet available to all, even that $20 to $50 price difference is worth a lot, but the previous Acer C7 model remains the Editors' Choice due to its longer battery life and larger hard drive. It's become abundantly clear at this point that Chrome OS isn't going anywhere. Google's foray into browser-driven computing is more than an experiment: Chromebooks are still hanging on in the fringes of the laptop market, and even gaining in numberIf you want one of the least expensive Web-browsing devices that feels like a laptop but is really a Chromebook, the Acer C7’s fine. If you're looking for a cheap alternative to today's mainstream laptops and a notebook exclusively for surfing the Web, you'll be hard-pressed to find a more budget-friendly option than the $229 Acer C710-2457. 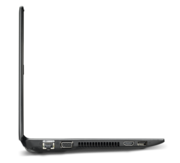 Its 1.1GHz dual-core Intel Celeron 847 processor, 4GB of RAM and 16GB SSD delivered a smooth experience for browsing the Web and viewing HD videos. 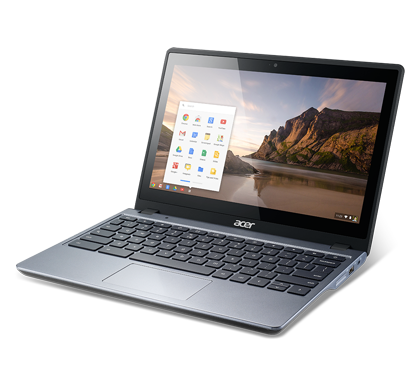 If a user is in the market for an 11 inch Chromebook, the Acer Aspire C720 Chromebook with extremely budget friendly price is a pretty good. Unfortunately, Acer created a machine that fails when judged by its cover. It looks and feels as cheap as it is, or even cheaper. 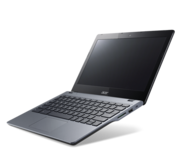 There are better designed machines in the same price range out there, but they are not as powerful as the Acer Aspire C720 Chromebook. The audio quality is expectedly dismal, but there is a USB 3.0 port, which most of the competition lacks. The 1366 x 768 TN display with washed out colors and limited viewing angles is poor compared to the competition. Weighing in at 1.25 kg, it is slightly heavier than other similar devices. Its 720p webcam is a pleasant highlight, but again, the user experience suffers with a keyboard that could have benefitted from a better layout. However, the Acer Aspire C720 Chromebook really shines inside. 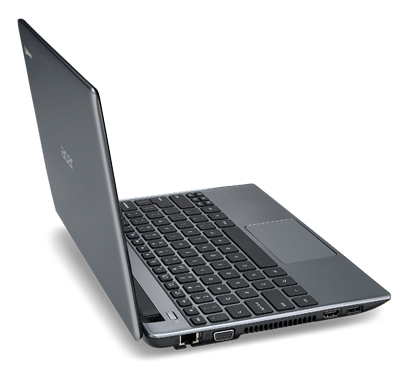 It is powered by a 1.4 GHz dual core Intel Celeron 2955U processor and a rather staggering (for its class) 4 GB of RAM. With this hardware, it does perform very well and the Haswell architecture gives it an outstanding battery life of up to 8.5 hours of moderate to heavy use, which is about 2.5 hours more than the competition. Those looking for a budget friendly Chromebook and can get over the sulky exterior and display, will get a machine with performance and battery life like no other. Back to basics. While efforts continue to try and rework the Chromebook equation to provide a more enticing balance of performance and build quality, Acer sees no harm in sticking to the original plan, with a budget plastic case design, an understated appearance, and an x86 chipset—all for $249. How does it compare? When we found the Acer C720 while writing our Budget Notebook Roundup earlier this month, we were initially very impressed with both its build quality and low price. After reviewing it more in-depth, we feel that the Acer C720 Chromebook does everything it’s meant to do well, especially for the price, and makes for an excellent second machine for users with more high-end application needs. It also can make a good primary computer for those who only need minimalist capabilities such as web browsing, video chatting and document editing. While not for everyone, if ChromeOS is the right fit for one’s computing needs, the C720 is a handy little machine to run it on. While the rival HP Chromebook 11 is more attractive, with a white exterior and IPS screen, when put on the spot we'd go for the Acer C720. Why? Those handy extra ports. The simple addition of HDMI and, particularly, an SD reader makes all the difference, giving this simple cloud-based laptop the flexibility it needs to compete with the big boys. And given its £200 price tag, it really is an alternative to splashing out on a 'proper' machine. For £200, the Acer C720 Chromebook gets a great deal right. We like the minimalist, understated design, the zippy performance, range of connectivity and the great battery life. But there are still plenty of reasons why this is not yet the ultimate Chromebook. The screen fails to impress, the keyboard is cramped and we are not the biggest fan of the touchpad, either. If you can accept some of the limitations and buy into the idea of cloud-based computing, the C720 is an all-round solid performer well equipped for everyday tasks. You'd be hard pressed to find a laptop at this price that performs as well. The C720’s 11.6in display has a 1,366x768 resolution, but now it has a matt not glossy finish, which significantly reduces the amount of reflections that appear onscreen when you’re outside or in a brightly lit office. The screen’s overall brightness is still dim, but we could see the screen clearly from a variety of angles thanks to wide viewing angles. There’s also a generous amount of screen tilt as well, so you shouldn’t have any trouble finding a comfortable working angle. Admittedly, Chrome OS’s offline support still needs a little work, but it’s hard to complain when the C720 is such a bargain. If all you need is a no-nonsense laptop where you can get online easily and take with you on the move, the C720 could be for you. It wins a Budget Buy award. I’ll admit I’m warming to Chrome, but it’s a relationship that’s still far from cosy. The useful app choices remain very limited and the OS still feels rough round the edges in places and the printing limitations are as annoying as ever. Yet, whatever you think about Google’s Chromebook experience, Acer has turned out a respectable, compact notebook at an affordable price with an all day battery life. One key criterion we like to use in evaluating a product is whether we'd actually want to use it day-to-day. The Acer C720 Chromebook has many faults and limitations, but even taking all of those into account, it's something we definitely would want to use, for the price. The key downsides we noted, including the display, the keyboard, and the speakers, really don't matter for casual use. They would get annoying if this were your one and only PC, and we don't recommend the Acer C720, or any Chromebook, for that matter, as someone's main machine. It's as a computing sidekick that the C720 shines, a laptop that you can flip open at a moments notice, even if you haven't charged it in a while. When it comes to internet companies, Google is one of the best companies in the business. Their search engine unbeatable, and it’s unlikely to be challenged by anyone in the near future. However, the same can’t be said of its Chrome OS project. In an attempt to take on Microsoft, it has created an OS, which is not even half as usable as second grade distros of Linux. Needless to say, it’s very difficult to recommend the Chromebook, because fully-functional Windows 8 laptops are available for a lot cheaper. Finally, if you’re looking for a light-weight companion for productivity and media consumption, Lenovo’s IdeaPad S206 and Acer Aspire One A725 are much better options. It was never going to set the world alight, but there’s much to like about the Acer C720. It’s quick, has good battery life, and packs it all into a package that’s light and practical. We prefer the HP Chromebook 11 for its IPS display, but with that machine currently unavailable due to overheating concerns, this is a decent alternative. Chromebooks are still a new idea, so it helps a great deal that the C720 has such great pricing. If you are heavily into gaming or need to run specific software for your work, then you can forget about this machine - the lack of serious games is a big disadvantage. 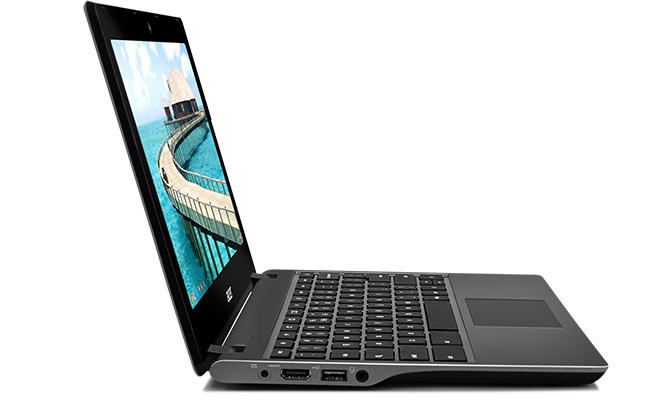 But there are a lot of use cases, where the C720 Chromebook makes so much sense. The only complaints we have are the display and the keyboard; the former needs to be replaced and recalibrated, while the keyboard is in need for some serious tactile and build improvement. The Acer C720 Chromebook is simply a nice product. In terms of the end user experience, the design and build is so good that it makes you want to keep the computer perched on your lap, which is rare when using such a smallish notebook. The array of ports give you plenty of options for peripherals and connectivity; for example, having two USB ports, one on each side of the device, is great, and the full HDMI port and SD card slot are welcome additions, too. All up, Acer’s C720 Chromebook is a very capable laptop if you're already ensconced in Google’s Drive and communications services. It performs its intended tasks very well when it’s connected to the Internet, and it can even be used effectively in offline mode. We like the fact that it can also be used for Internet video streaming, and that it comes with a full-sized HDMI port to facilitate the connection of a second screen. The Acer C720 Chromebook (C720-2800) comes closer to Chromebook nirvana, but still has to overcome the short 16GB of storage and the fact that its screen pales in comparison to that of the HP Chrombook 11's IPS display. If there's any system that's screaming for a 16GB SSD + 500GB HDD hybrid setup, it's this system. 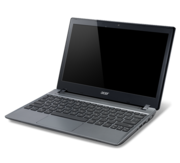 Because of the innate desire to keep lots of files on local storage and the spottiness of Internet coverage, the current Editors' Choice remains the Acer C7 Chromebook (C710-2055). That said, if you already have a mobile hotspot like a MiFi Liberate or Verizon JetPack$39.99 at Amazon, the new Acer C720 Chromebook (C720-2800) is a great affordable alternative to a laptop or tablet. The Acer C720 Chromebook left us a bit torn. With some budget-priced, touch-screen-enabled Windows 8 laptops taking up residence in the high $300s, and the Chromebook competition in the $200-to-$300 range getting hotter, we suddenly find ourselves a bit fussier about Chromebook aesthetics and component quality. 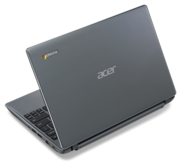 Thanks to its Haswell-powered CPU, the $249 Acer C720 Chromebook offers better performance than its predecessor and its low-cost competition. Like most Chromebooks, this one is well suited for those who primarily surf the Web, check social networking and play casual games. The Acer C720 Chromebook is a speedy, sharp Chrome OS laptop that has a simple design and boasting rights in the performance department. The laptop is a step ahead of many other competing Chromebooks, and is more than able to hold its own as an everyday laptop for those who do basic tasks: media, email, Internet, chatting, word processing, and such. The price point holds steady at $249 USD, meaning though you’re getting a performance boost via the use of Haswell, you’re not paying out more than what you’d spend for other Chromebooks. If you've decided you want a Chromebook, the Acer Chromebook C720 is worth a look. Sure it's not as good looking as the also new HP Chromebook 11, but it's faster and has longer battery life than most competing models, including HP's. 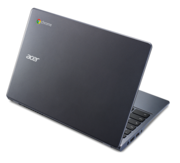 That makes the Acer appealing to first time Chromebook buyers who are accustomed to faster hardware on PC platforms and to more experienced Chromebook users who tend to hit hard with lots of open tabs and multitasking. Positive: Attractive price; decent touchpad and keyboard; excellent mobility. This offering from Acer is 28.5x20x2cm the last measurement is at the rear with the thickness at the front only 1cm. A Chromebook is an option to a standard Android Tablet. It works in much the same way and the biggest problem it had at first launch of not being able to work offline is now overcome although there are currently less options than with other Android offerings. Positive: Pretty good battery life; good connectivity; good performance; good speakers; excellent build. Negative: Low-contrast of the display. Positive: Decent processor; good battery life; comfortable keyboard and touchpad; good price. Negative: Terrible display and mediocre sound; unassuming design. Positive: Low price; cloud storage. Positive: Slim and light; long battery life; fast startup; cloud storage. Negative: Missing key programs such as Skype and Viber; inappropriate games; less disk space. Positive: Low cost; good battery life; compact size; light. 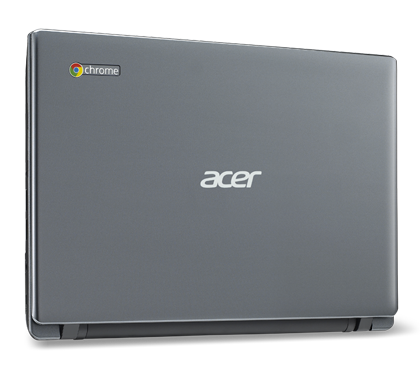 As a wallet friendly machine for browsing the internet and getting some work done the Acer C720p Chromebook is a great choice. The touchscreen really adds a nice upgrade to an already attractive package, and if you can live within the internet world of Chrome OS, then at this price you can’t go wrong. Having recently told you about an Acer Chromebook this has more or less exactly the same specifications but it also has Touch. While touch on a Windows 8 PC gives far more and Touch on an Android or iOS Phone is normal touch on a Chromebook is new. So now the $64,000 question is it worth another £100 to have touch. With plenty of splinters to prove the point I sit on the fence. 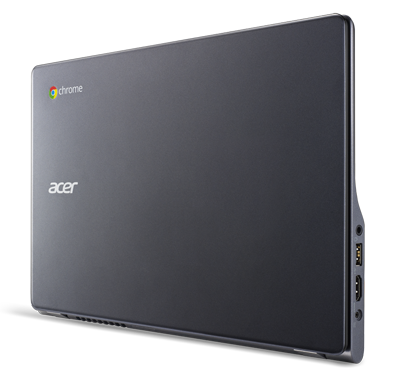 The Acer C720p Chromebook isn’t as pretty as the Google Chromebook Pixel or even the HP Chromebook 11. But it’s one of the fastest Chrome OS laptops around. It’s the cheapest model with a touchscreen. And it gets all-day battery life (assuming you count your day as a work-day with a lunch break). That means you might be able to leave the moderately bulky power adapter at home. The Acer C720P Chromebook is a solid choice if you’re in the market for a Chrome OS-powered machine, and until Samsung’s super quiet, mobile-powered Chromebook 2 hits, Acer’s effort is definitely our favourite low priced Chromebook - just remember, there’s an even cheaper option available if you don’t need a touchscreen. 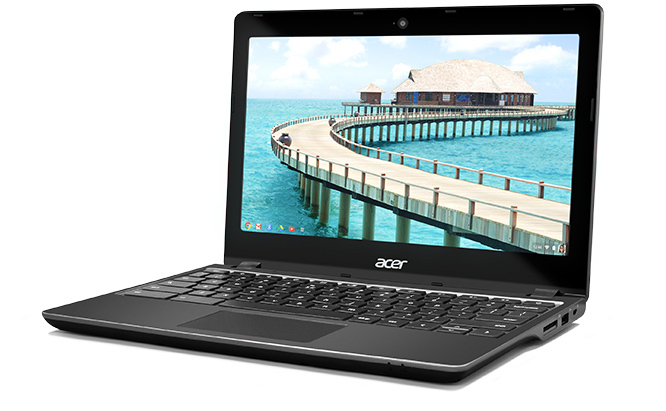 The Acer C720P Chromebook is a solid laptop. The processor is adequately quick, the keyboard and touchpad hold up under heavy use, and the battery offers plenty of life for a system of this size. Given these traits, it’s easy to see why some consumers are picking Chromebooks instead of Windows-based alternatives. 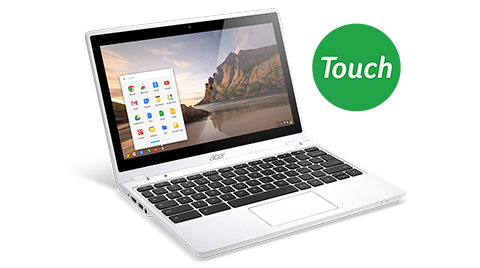 80% Acer C720P Chromebook review Is a Chromebook touchscreen worth $100? As an affordable laptop, the Acer C720P Chromebook has a lot to offer: A thin and light design, an excellent keyboard and touchpad, and impressively endurance. As a Chromebook, however, the C720P fails to justify its above-average price tag. The gimmicky touchscreen bumps the cost up to $300, without adding real value to the system. The HP Chromebook 11, by comparison, provides an almost flawless Chrome OS experience without a touchscreen. And if you absolutely must have a touch-sensitive display, the Asus X102BA offers a much more satisfying touchscreen experience for $50 less. 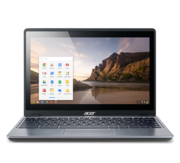 The ubiquity of Internet access, along with the increasing reliability and decreasing cost of online storage, means that you won’t necessarily need to give up too much to replace your current Web-browsing laptop or desktop with a Chrome OS system like the Acer Chromebook C720P-2600 ($299.99 list). 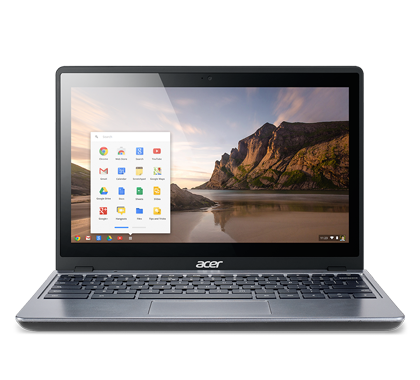 With a bright, clear touch screen and all-day battery life, the Acer Chromebook C720P-2600 dominates among Chromebooks. The Acer Chromebook C720P-2600 has double the storage of previous SSD-powered Chromebooks, and it launches and reboots quicker than hard-drive powered Chromebooks like our previous Editors' Choice for Chromebooks, the Acer C7 Chromebook (C710-2055). The C720P-2600 also has a better feature set, including more modern styling, an updated LCD with 10-point touch capability and almost 7.5-hour battery life. Add the fact that you won't have to worry about knocking the SSD-based storage around in transport or while in use, the Chromebook C720P-2600 cements the position of our latest Editors' Choice for Chromebooks. To love a Chromebook, you have to understand that the idea of a "laptop" is changing. We're somewhere between tablet and PC now, phone-style speed computing and an older, more old-fashioned computer. The Acer Chromebook C720P manages to get better at all the key things, adding up to a little laptop alternative that's better than any budget Chromebook we've seen before. The $299 Acer C720P Chromebook is one of the least-expensive touch-enabled notebooks available, offering an attractive design, plenty of ports and long battery life. Those who primarily use their computer for surfing the Web and light productivity will have no issues replacing their everyday laptop with this budget-friendly machine. There's no way to look at the C720P-2600 and not say it's simply a white washed C720 in "moonlight white." 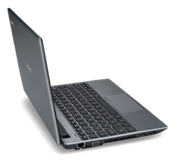 The original C720P was a more than competent and popular Chomebook option with a bit of touchscreen functionality to add the point and pick navigation option. 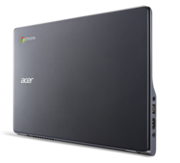 The Acer C720P-2600 Chromebook will be available for a starting price of $299 (about £182/AUS $332) in early January. Chromebooks on the whole have to make certain sacrifices to keep the price tag low and usually it’s the screen quality and power that suffers the most. With the C720P, Acer manages to address these issues and while we probably can’t expect a full HD display anytime soon, the one on the C720P is really not bad at all. Combine that with the zippy Intel Haswell power, touted battery life and surprisingly attractive design, this is a sign that the Chromebook is going in the right direction. Chromebooks look here to stay, and the C720P is a price savvy offering. But the screen is not all that and, realistically, we'd either opt for the non-touch version for less cash or bypass Chromebook altogether and opt for a tablet instead. That's what it boils down to. 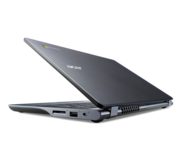 The Acer C720 has a number of things going for it that make it perfect for those wanting a Chromebook. It is certainly the most affordable on the market while still providing a good level of performance and better battery life than the competition. Even with these factors, there are some things that can be annoying to some buyers. The C720 doesn’t excel in any particular department, but it scores highly enough in most of them to make it a good all-rounder. Lightweight, fast, cheap, and actually quite a cool looking device. The keyboard is a little underwhelming, but for the money it’s a very easy machine to recommend. As with the previous model, the C720P has excellent battery life. When using it for near-constant browsing and occasional music, we pulled in over 6 hours, and when used carefully (reduced display brightness and such), you can get it over the 7 hour mark. In summary, it is small, light, and inexpensive, three markers that make it appeal to many varieties of users. Those who have been holding out for an inexpensive Chromebook with a touch display will find the Acer C720P to be an excellent choice, doing all the things a Chromebook does best. 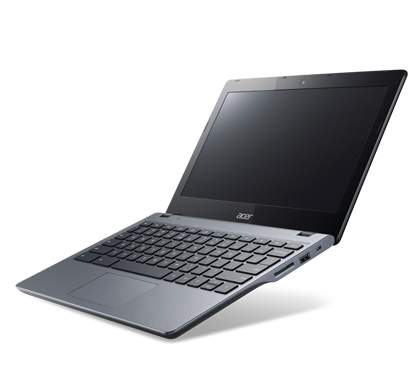 Acer's C720P is essentially the same C720 Chromebook but with a touchscreen based display. Thanks to their low pricing, this puts it only slightly more expensive than competing Chromebooks but with more local storage on it and touch. It would have been nice to see a design update but that would have likely increased the overall cost which is critical to many consumers. Acer has been quick to add a touchscreen to its Chromebook line up, but there's not much you can do with the touch capability at the moment. If nothing else, it adds some much needed good looks to the Chromebook C720 series, and the C720P is still a solid model to consider overall, but the retail price is $100 more than the non-touch C720. 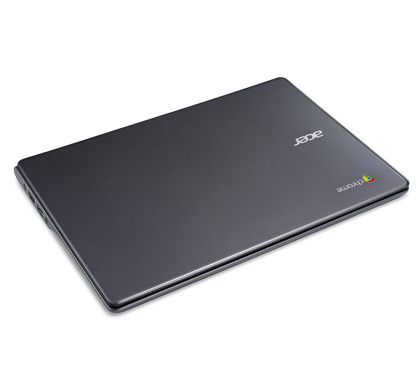 The Acer C720P-29552G03aii Chromebook is one of the many underdogs in today’s world of gadgets and devices. Chrome OS is probably the main contributor to this. Chrome OS is still very new when compared to the big dogs of gadget OS. However, it provides decent usage for those who only use it for checking emails and browsing the net. 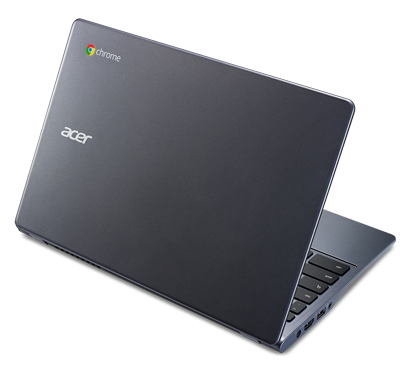 The Acer Chromebook comes with an Intel Celeron processor with 1.4 GHz processing speed. With 2GB of RAM and an integrated Intel HD Graphics (Bay Trail), do not expect this machine to be a powerhouse. The touchscreen display is a neat feature which enables it to be a substitute for tablets, but that depends on the user. The 11.6 inch display comes with a 1366 by 768 pixel dimension, which is pretty decent for its class. It provides clear displays for pictures and streaming HD videos. The light weight of the Acer Chromebook, 1.3 kg, is also a plus point. It comes with the basic connectivity capabilities such as the dual band Wi-Fi 802.11 and is Bluetooth 4.0 compatible. It does not support data connectivity such as 3G and 4G LTE, however. Due to its thin size, it comes with only two USB ports; one USB 3.0 on one side, and one USB 2.0 on the other side. 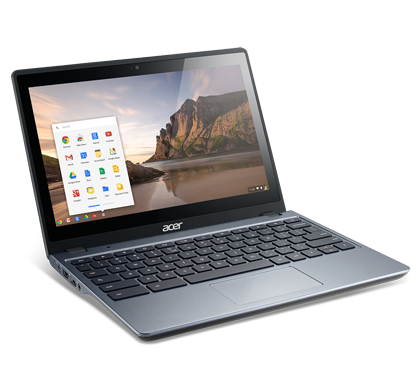 In short, the Acer Chromebook is not a flashy laptop with over the edge technology or stunningly beautiful display. Its processing abilities are nevertheless surprising. 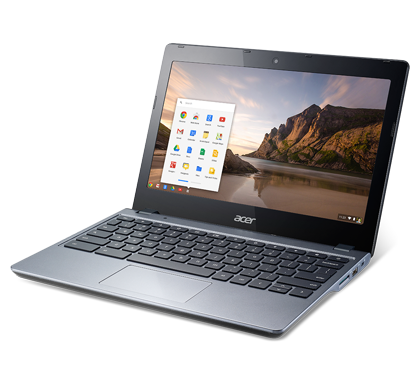 The Acer C720 Chromebook with Core i3 is one of the most powerful Chromebooks to date, but it’s not a perfect laptop. The limited screen viewing angles can be frustrating, and some folks would also probably prefer a model with a larger, or higher-resolution display. It’s easier to overlook the Chromebook’s limitations when the price is right: the Acer C720 with an Intel Celeron processor can be yours for as little as $200. Acer has gone and greatly improved the performance of the Chromebook by using a Core i3 processor with additional RAM which is great but they could have done so much more than what they did. The imrpvoements were only for the processor and little else which means that the design looks no different from the Celeron C720 and all the issues from that still remain except the price has jumped significantly. The upgraded Acer C720 Chromebook with Core i3 processor is definitely an improvement on the original in power and speed. Its ultra-compact size and 11.6-inch display are great for portability, but I would prefer to see this notebook with a 13-inch display to better take advantage of its productivity potential. This Chromebook is one of the best I've tested. The performance is excellent and the user experience quite good as a result. 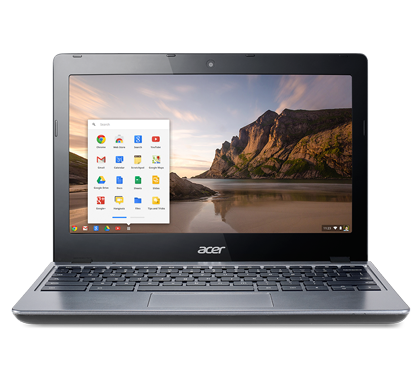 If I was in the market for a Chromebook the Acer C720 with Core i3 processor would be my choice. I do find the Celeron processor (Haswell) in the earlier C720 Chromebook that I own to be quite good, and see no need to upgrade. 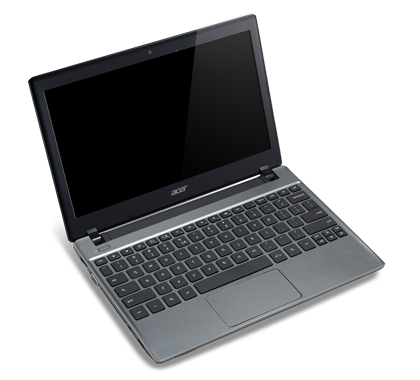 Beautifully simple, is the first thing potential users might think about the Acer C720-3404 Chromebook. 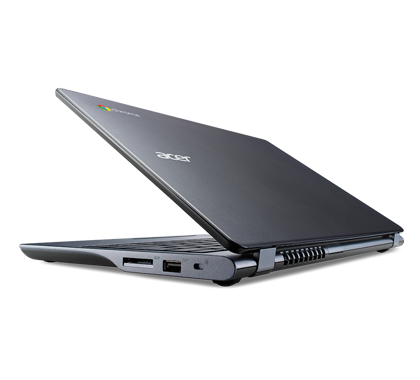 Chromebook devices are certainly gaining popularity especially if they are elegant. 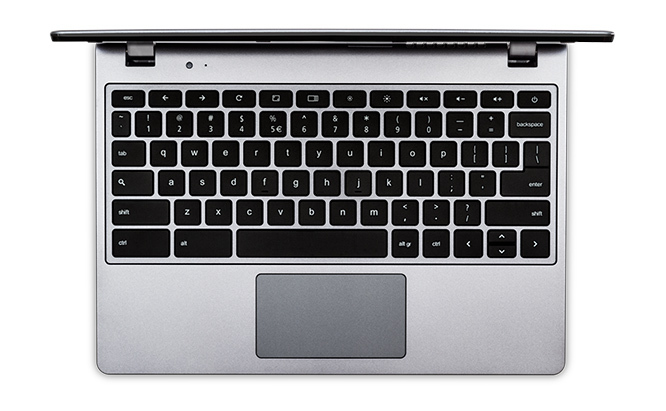 The Acer C720-3404 Chromebook is just that with its matte dark grey finish and black island-style keyboard. The Chrome OS device comes with enough juice to perform everyday tasks with its Intel Core i3 4005U dual core processor clocked at 1.70 GHz, 4 GB DDR3L SDRAM and Intel HD 4400 graphics. Storage on the Acer C720-3404 Chromebook is a 32 GB solid state drive which makes the Chromebook’s operation much snappier. Users can increase storage space with an SD card. The 11.6 inch Active Matrix TFT Colour LCD uses ComfyView technology. The limitation in screen real-estate is understandable especially since the device weighs only 2.76 lb (1.25 kg) and is only 0.8 inch (2.03 cm) thick. Other features include a webcam, Bluetooth 4.0+HS, 1 USB 3.0 port, 1 USB 2.0 port and HDMI output. 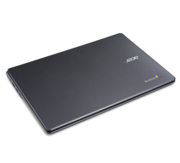 The 3-cell lithium polymer battery rated at 3950 mAh can power the Acer C720-3404 Chromebook for at least 8 hours. 4005U: Haswell-based ULV dual-core processor clocked at 1.7 GHz without Turbo Boost support. 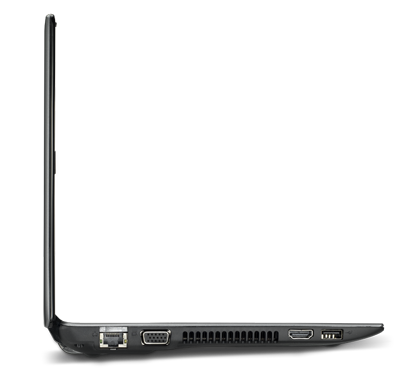 Offers an integrated HD Graphics 4400 and a dual channel DDR3 memory controller. 71.92%: This rating is bad. Most notebooks are better rated. This is not a recommendation for purchase.» Further information can be found in our Notebook Purchase Guide.